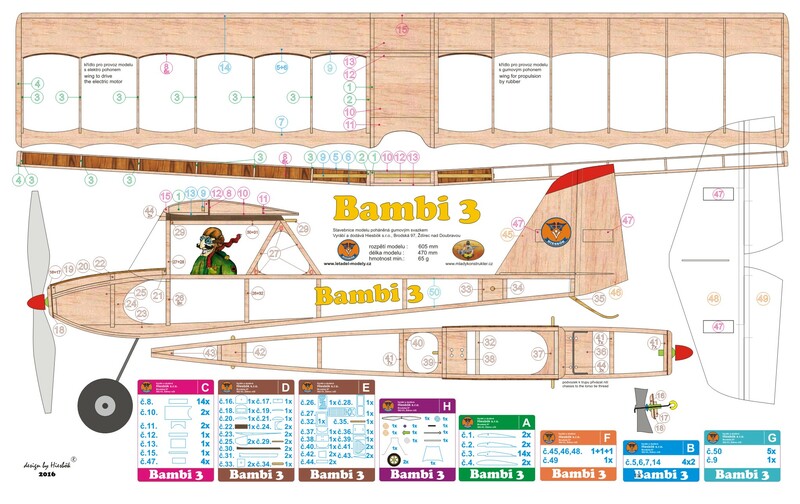 New RUBBER POWERED FLYING MODEL AIRPLANE KIT Bambi 3 special edition. 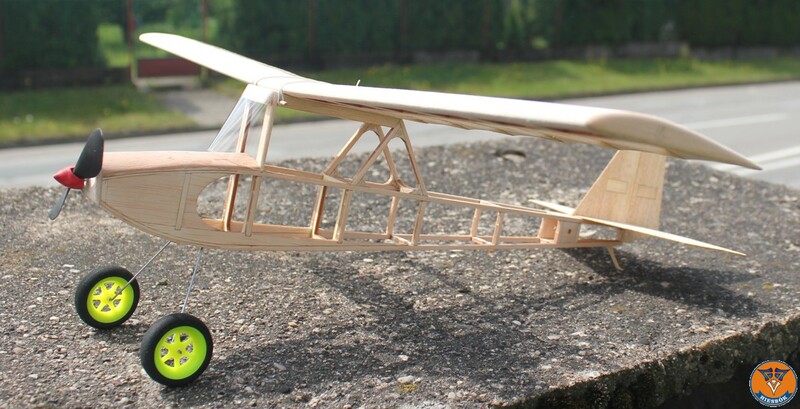 Kit contains all the parts laser cut from high quality balsa wood, colored construction plan and kit special one propeller blade. 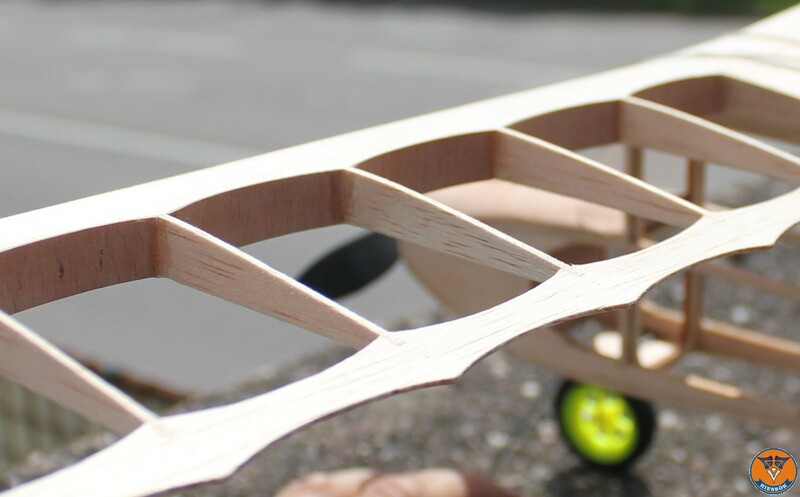 Furthermore gugmu drive Tan II and coating special paper and one piece of standard propeller IGRA 200 mm. It is intended for beginners, provided that longer strings them a model coated paper. 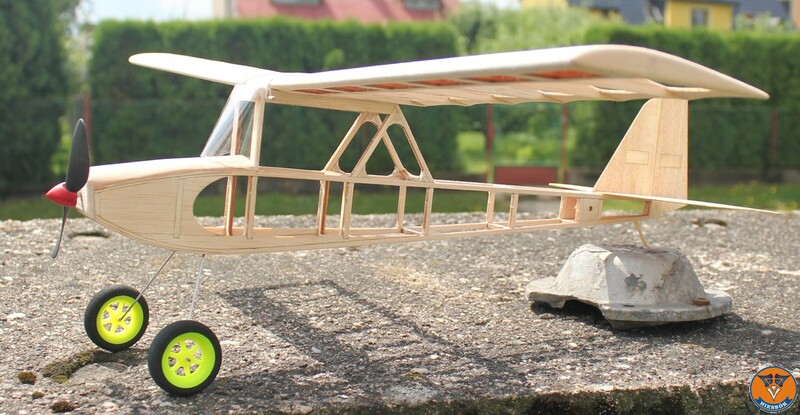 Flying with him is enjoyable, thanks to its weight consistently achieves long flights. 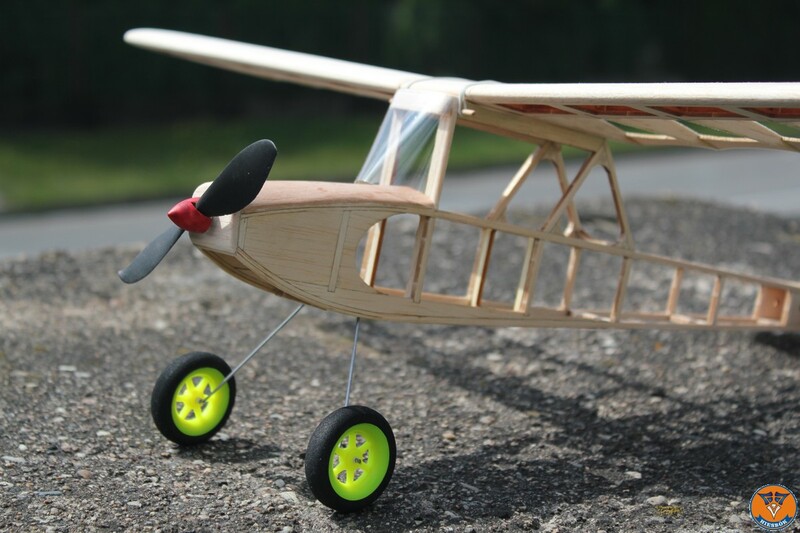 This model can be adapted for electric drive and RC.